Captain Ken Ireland is a 1981 graduate of the University of North Carolina, where he earned a Bachelor’s Degree in Journalism and was commissioned via the Naval Reserve Officer Training Corps. He was an All-American swimmer and team captain. His academic accomplishments were less impressive. 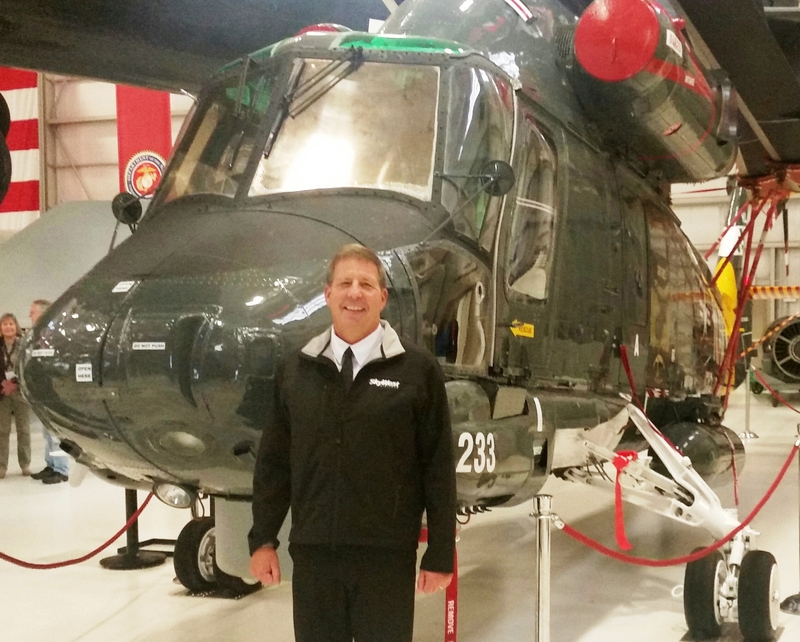 Captain Ireland was designated a Naval Aviator in 1982 and served five consecutive tours in the HSL community flying the SH-2 Seasprite and SH-60 Seahawk helicopters in San Diego, Jacksonville and Philadelphia. He was then assigned to staff tours in San Diego, Washington DC and Corpus Christi, Texas before returning to San Diego to serve as the Executive Assistant for Naval Aviation Enterprise for the Commander, Naval Air Forces. His final assignment was Commanding Officer of Navy Operational Support Center North Island. He is the recipient of numerous personal awards and also received the Secretary of the Navy “Revolution in Business Affairs” award in 2001. He retired from the Navy in January, 2010 and was hired by the Coronado Unified School District as the Senior Naval Science Instructor for the Navy Junior ROTC program, a position he held until his retirement in 2015. Captain Ireland currently volunteers his time tutoring elementary school students in San Diego, providing presentations on Combat Operational Stress Control to returning Navy Reserve Sailors and their loved ones, and training combat injured veterans to ride mobility devices through the non-profit Segs4Vets. He is employed by SkyWest Airlines as a pilot in the Embraer 175 regional jet. He resides in Coronado, CA with his wife, CAPT Patricia Ireland, USN, Medical Service Corps (retired) and has two children, Heather, a Lieutenant in the US Navy (Supply Corps) stationed at NAS Whidbey Island, WA and Andrew, a Navy helicopter pilot assigned at NAS North Island.